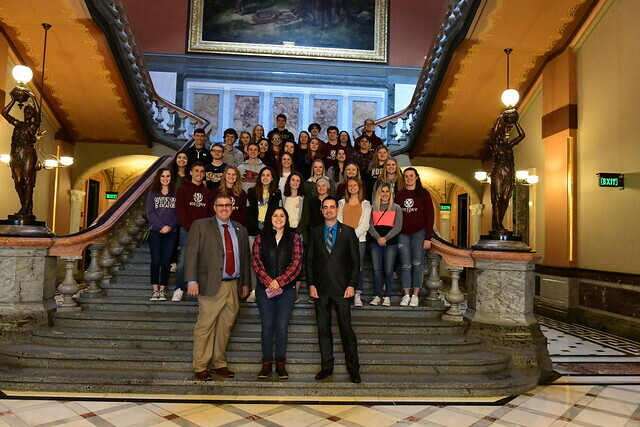 The History Club from Effingham High School visited the Capitol today. 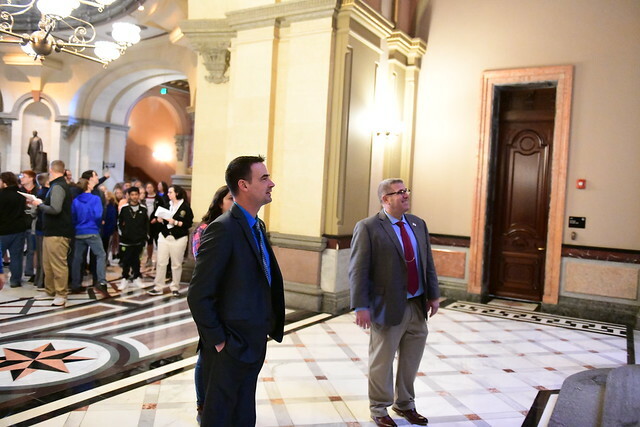 They visited the State Museum and were able to explore around the Capitol Complex. Thank you to Gabrielle Durbin for helping to organize the trip! Rep. Blaine Wilhour and Rep. Darren Bailey welcome the Effingham High Students to the State Capitol. 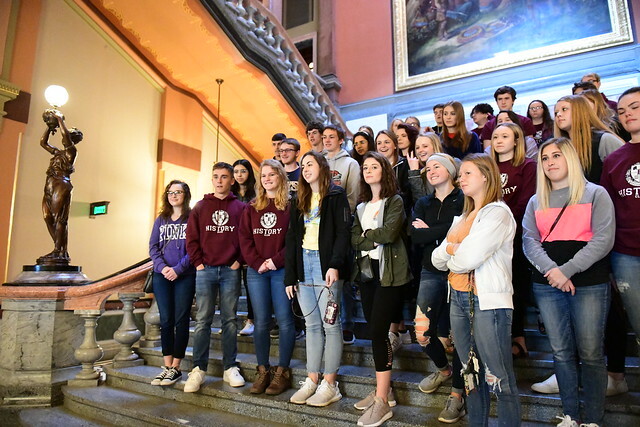 History Club students from Effingham High School stop at the Illinois Capitol on their way to the Illinois State Museum this morning.